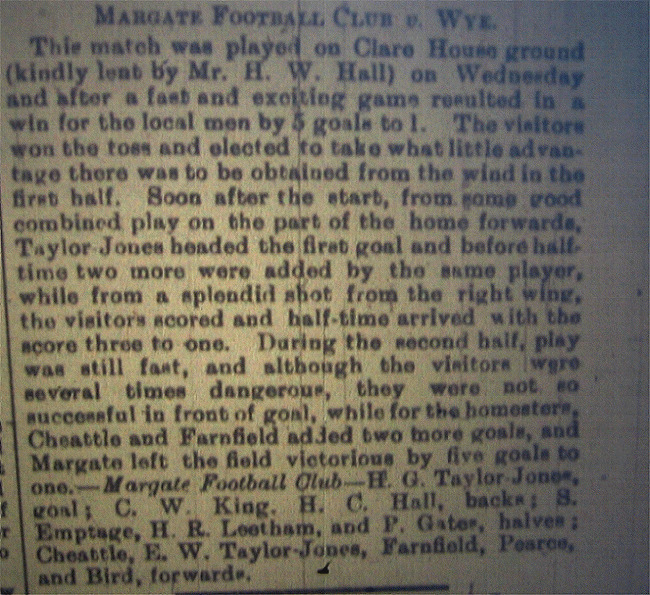 The first match ever played by Margate, played on a pitch at Clare House School lent to the club by Mr Henry William Hall who at the time was chairman of the club's new committee. 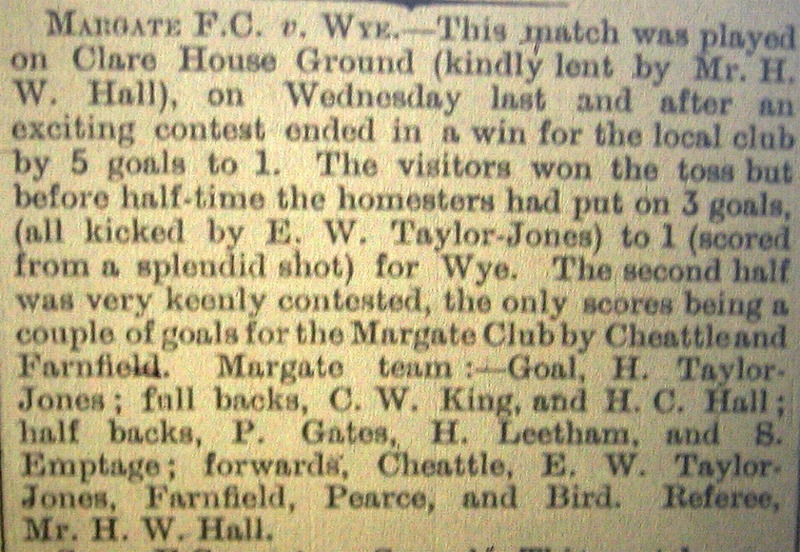 Margate's captain Edward Taylor-Jones who also played cricket for Kent headed the club's first ever goal in the first half and then added two more before the break. Wye pulled one back to make it 3-1 to Margate at half time. 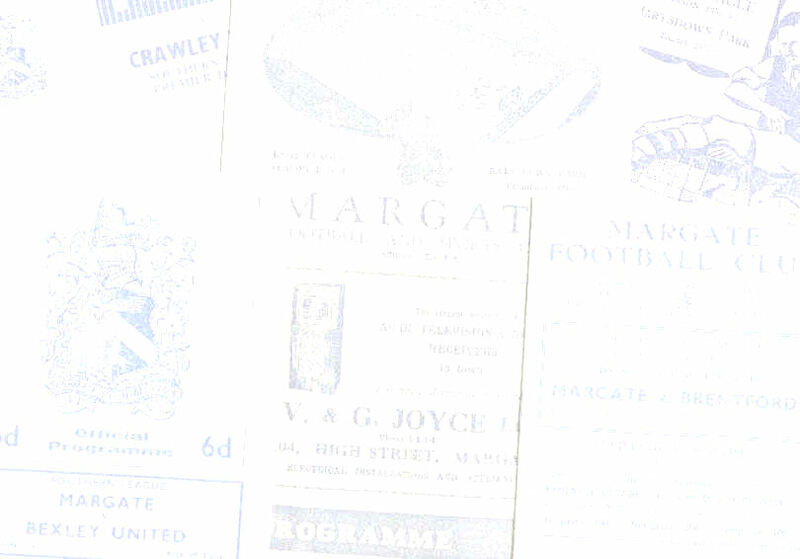 Cheattle and Archibald Farnfield added further goals in the second half to make it 5-1 to Margate.